Flight Simulator/Simulation is a system that emulates and reproduces the actual experience of flying an aircraft as realistic as possible. 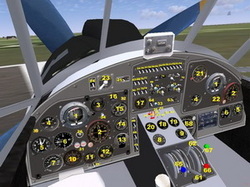 The different types of flight simulator range from video games up to full-size cockpit replicas mounted on hydraulic (or electromechanical) actuators, controlled by state of the art computer technology. Flight simulators are extensively used by the aviation industry for design and development and for the training of pilots and other flight deck crew in both civil and military aircraft. Flight simulation is an artificial re-creation of aircraft flight and various aspects of the flight environment. This includes the equations that govern how aircraft fly, how they react to applications of their controls and other aircraft systems, and how they react to the external environment such as air density, turbulence, cloud, precipitation, etc. Flight simulation is used for a variety of reasons, including flight training (mainly of pilots), for the design and development of the aircraft itself, and for research into aircraft characteristics, control handling qualities, and so forth. 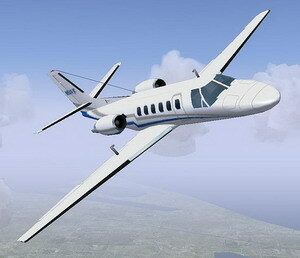 Flight simulations have varying degrees of hardware, modelling detail and realism that depend on their purpose. They can range from PC laptop-based models of aircraft systems, to simple replica cockpits for familiarisation purposes, to more complex cockpit simulations with some working controls and systems, to highly detailed cockpit replications with all controls and aircraft systems and wide-field outside-world visual systems, all mounted on six degree-of-freedom (DOF) motion platforms which move in response to pilot control movements and external aerodynamic factors. Development and testing of flight hardware. Simulation (emulation) and stimulation techniques can be used, the latter being where real hardware is fed artificially generated or real signals (stimulated) in order to make it work. Such signals can be electrical, RF, sonar, etc., depending on the equipment to be tested. Development and testing of flight software. It is much safer to develop critical flight software on simulators or using simulation techniques than it is to develop using actual aircraft in flight. Development and testing of aircraft systems. For electrical, hydraulic, and flight control systems, full-size engineering rigs sometimes called 'Iron Birds' are used during the development of the aircraft and its systems. High-end commercial and military flight simulators have large field-of-view (FoV) image generation and display systems of high resolution. All civil Full Flight Simulators (FFS) and many military simulators for large aircraft and helicopters also have motion platforms for cues of real motion. Platform motions complement the visual cues and are particularly important when visual cues are poor such as at night or in reduced visibility or, in cloud, non-existent. The majority of simulators with motion platforms use variants of the six cylinder Stewart platform to generate cues of initial acceleration. These platforms are also known as Hexapods (literally "six feet") and use an operating principle known as Acceleration onset cueing (which see). Motion bases using modern hexapod platforms can provide about +/- 35 degrees of the three rotations pitch, roll and yaw, and about one metre of the three linear movements heave, sway and surge. The NASA Ames Research Center in "Silicon Valley" south of San Francisco operates the Vertical Motion Simulator. This has a very large-throw motion system with 60 feet (+/- 30 ft) of vertical movement (heave). The heave system supports a horizontal beam on which are mounted rails of length 40 feet, allowing lateral movement of a simulator cab of +/- 20 feet. A conventional 6-degree of freedom hexapod platform is mounted on the 40 ft beam, and an interchangeable cabin is mounted on the hexapod platform. This design permits quick switching of different aircraft cabins. Simulations have ranged from blimps, commercial and military aircraft to the Space Shuttle. In the case of the Space Shuttle, the large Vertical Motion Simulator was used to investigate a longitudinal pilot-induced oscillation (PIO) that occurred on an early Shuttle flight just before landing. After identification of the problem on the VMS, it was used to try different longitudinal control algorithms and recommend the best for use in the Shuttle programme. After this exercise, no similar Shuttle PIO has occurred. The ability to simulate realistic motion cues was considered important in reproducing the PIO and attempts on a non-motion simulator were not successful (a similar pattern exists in simulating the roll-upset accidents to a number of early Boeing 737 aircraft, where a motion-based simulator is needed to replicate the conditions). AMST Systemtechnik (Austria) and TNO Human Factors (the Netherlands) have developed the Desdemona flight simulation system for the Netherlands-based research organisation TNO. This large scale simulator provides unlimited rotation via a gimballed cockpit. The gimbal sub-system is supported by a framework which adds vertical motion. Furthermore, this framework is mounted on a large rotating platform with an adjustable radius. The Desdemona simulator is designed to provide sustainable g-force simulation with unlimited rotational freedom.